"HIS Company The Best who are reviving the AGP slots which were on dust before. 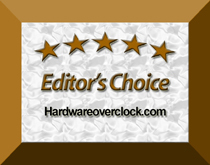 Thanks HIS"
"I'm happy with the card's performance.The cooler seems light,but it runs very cool and qui.."
"The HDMI output makes this adaptor universally useful for both LED and TV monitors. HIS D.."
"awesome gpu..no problems whit Gta 4 and other demanding games"